Stocks are falling today, giving up earlier gains, as investors were left disappointed with the latest batch of earnings while interest rates jumped to levels not seen in years. The Dow Jones industrial average traded 600 points lower as of 2:05 p.m. ET, with 3M as the worst-performing stock in the index. The S&P 500 fell 1.9 percent, with consumer staples and technology sliding. 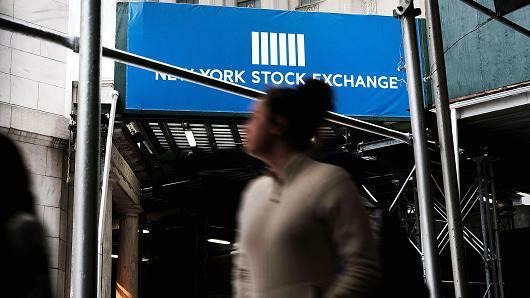 The Nasdaq composite declined 2.3 percent as shares of Facebook, Amazon, Alphabet and Netflix all dropped more than 4 percent. “I think that’s why we’re seeing such shifts in the market,” Warne said.